One year ago today I hit publish on my first blog post. Ahhh, ONE YEAR! I’m so excited and proud of this space on the interwebs. I had no idea what I was getting myself into one year ago, but it has been WAY more fun than I could have imagined! It’s fun (and scary!) to look back on some of those early posts and to see how much I’ve learned in 12 short months. I’ve met some amazing people because of this blog, and I’ve also been able to help a lot of people plan their trips to Iceland, which has been AMAZING! I started Life With a View as a way to share about Iceland and to help people planning their trip to Iceland to make it EASY. When we planned our honeymoon in Iceland I would have given anything to be able to ask questions to someone who lived in Iceland! I had to search hard to find what to pack! So I’ve committed this space to making trip planning SIMPLE! So what’s next for Life With a View? I am SO excited about this coming year! I’ve been working on a big project that will take this blog to the next level and help YOU more than ever! But the good news is you can still count on the same awesome stuff that brought you here in the first place! Blog posts about travel tips, hidden gems, videos, and more! 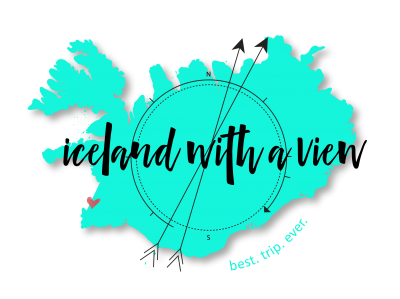 Iceland Travel Team Facebook Group – connect with other travelers and ask questions to plan your best trip ever! 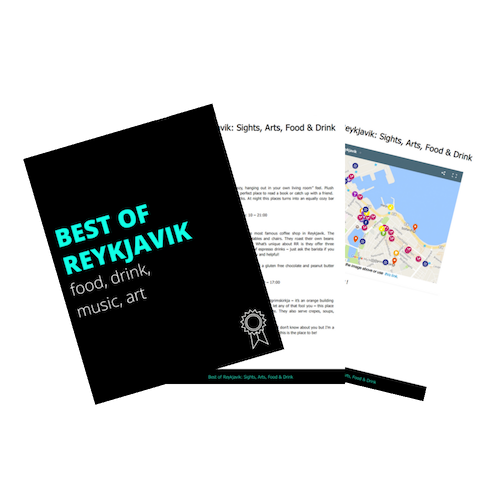 Iceland Resource Library – checklists, printables and guides to help your Iceland trip planning process easier. From the bottom of my Iceland-loving heart, THANK YOU so much for being a part of this awesome community! I truly appreciate every comment, heart, question, thumbs up, and connection from each and every one of you! And because of all your love and support, I want to give you something! An Iceland Road Trip Gift Box! What’s in this gift box? The ultimate road trip playlist – songs that perfectly fit the mood of driving through the breathtaking Icelandic landscape! I know a lot of people are planning an Iceland Road Trip – I don’t blame you, it’s the best way to travel around Iceland! But perhaps some of you have already been to Iceland, and you miss some of the little snacks you see at all the gas stations. OR maybe you’ve never been to Iceland but you need a little inspiration. Bottom line, this giveaway is prefect for anyone! You have ONE WEEK to enter to win. Some options give you more than one entry, and some entries can be completed daily! The more entries, the better your chance of winning! GOOD LUCK! Question: Have you been to Iceland or are you planning a trip? I’ve just stumbled on your blog, but it’s really good one. Congrats on blogiversary! Ahh, that is so exciting to hear Amanda! I am glad you found the blog and it is helpful. Let me know if you need any last minute tips planning! Happy blogiversary! This is such a fun giveaway! Yay for treats, thanks Rachel! I just came across your pins on pinterest and have been in awe at the pictures. We are heading to Iceland October 12 for our first anniversary and are so so excited. I made myself read some of our travel guide book before I devour all of your blog posts, so I had a general idea of where things were in the country. I might have to write down all of those candies in the picture to get while we are there. I love chocolate and candy in general, but I love it even more from different countries. Gorgeous blog photos! Awe thank you so much Libby, you just made my day! I’m so glad you found my blog on Pinterest! Please let me know if you need any last minute help planning anything. Definitely get some of these snacks, I love the Icelandic candies! You are going to have a great time in Iceland, and happy anniversary! Congratulations on one year! I have really enjoyed reading your blog since I came across it! Happy Blogiversary!! It’s so exciting making it to the one year milestone. I can’t wait to see what year 2 has in store! Thank you Leanna! It is so fun, who would have known blogging would be so great?! Oh I am just back and have been so sad to leave iceland… would love love love thr song list, obssesed with their music, ? Happy blogiversary! Excited for you and to see where the future takes you, both with the blog and in Iceland! And I’m super stoked for this giveaway as well – what a fun way to celebrate. Personally, my Iceland snack stash is starting to deplete and there is a startling lack of lakkris for sale over in these parts 😉 Iceland really has THE best snacks of any country I’ve visited. Thanks girl! I’m so happy to follow along on each others journey and that that blogging could bring people together 😀 So interesting that you think Iceland has the best snacks…I will consider myself lucky! Hey there! It looks like your Facebook link is broken. I was able to find you doing a search, but hope you can get that fixed for others so you can grow your Facebook audience!! I love your photography. It makes me want to visit!! Hey Kristen! I’ve changed it now. Thanks so much for letting me know!